WW Gallery is pleased to present the Xmas BOGOF, a buy-one-get-one-free fundraising art sale. 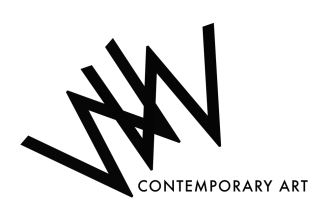 For 4 days only (19th – 22nd Dec 2012), WW Gallery will hold a unique sale of art works by 100 emerging and established contemporary artists. To keep logistical and administrative costs to a minimum, none of the BOGOF works will be viewable online. For more information please contact Francesca Brooks at francesca.a.brooks@gmail.com. "Times is still 'ard. For all of us. We have been unsuccessful in recent funding bids and as a consequence have had to scale back and even cancel some of our most ambitious projects. We have had to close our outdoor Hackney site and cease the very successful Patio Projects public art series, in which 13 artists benefitted from the unique support of a bursary and a solo show seen by over 78,000 visitors over the life of the project. Since we started in 2008, we have exhibited, supported and nurtured hundreds of artists and organised over 50 exhibitions and events. Help us to continue supporting artists and keep creating innovative exhibitions and opportunities, thank you."